Columbia SC Pest Control | Palmetto Exterminators Golf Sponsor, our Columbia SC Pest Control branch of Palmetto Exterminators were golf sponsors and participants in the 24th Annual Golf Tournament Greater Lexington Chamber and Visitor Center Golf Tournament that took place on Monday, May 19, 2014 at the Lexington Country Club. 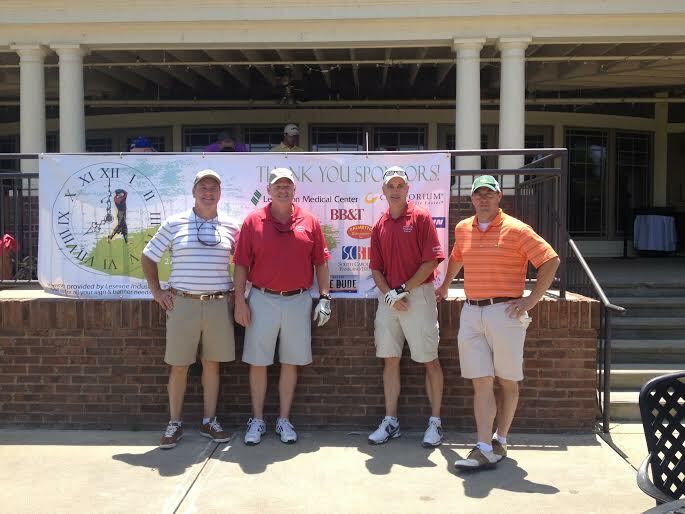 Columbia SC Pest Control, Palmetto Exterminators Inc was excited to be a 2014 sponsor of the Greater Lexington Chamber and Visitor Center Golf Tournament. Held each spring, the Greater Lexington Chamber and Visitors Center Golf Tournament offers an excellent opportunity to get to know both fellow Chamber members and prospective members while enjoying fresh air and friendly competition on the greens. The Greater Lexington Chamber and Visitors Center hosted approximately 300 players that attracted top corporate executives, entrepreneurs, local companies, and community leaders. This annual golf tournament was an excellent and fun promotional and networking opportunity. The event included a continental breakfast, lunch under the tents, and a great game at a top quality golf club in the Columbia SC metropolitan area. The event featured a large variety of sponsor benefits, including excellent exposure before, during and after the event as well as unlimited networking opportunities and friendly competition. Established in 1964, The Country Club of Lexington has served families in the Midlands area for nearly 50 years. The social and recreational amenities of the Country Club of Lexington are for the exclusive use of members and their guests. The club places strong emphasis on family and offers a variety of facilities and programs for every member of the family. Columbia SC Pest Control, Palmetto Exterminators has been protecting people’s health, their property and the environment for over 50 years. With 8 locations, we serve customers in South Carolina, North Carolina and Georgia. We invite you to learn more about our family-owned and operated business and the quality pest control, mosquito control and termite control services we provide our customers. Special congratulations go out to our Palmetto Exterminators Branch in Columbia SC. Branch Manager Ken Smith and salesman Ron Byers were part of a foursome that tied for first place. Columbia SC Pest Control, Palmetto Exterminators is one of the best, most innovative and most respected pest control companies, not only in the Carolinas and Georgia, but in the United States. For a free, no obligation inspection of your home or business, please click on and complete the following form or call Palmetto Exterminators, Inc. at 803-254-5833. Palmetto Mosquito Control installed and services our Coastal Mister automatic misting system. The system works very well and the service is exceptional. We have seldom found an organization as responsive and professional as Palmetto Mosquito Control. We have recommended them to many of our neighbors and they are all satisfied customers.